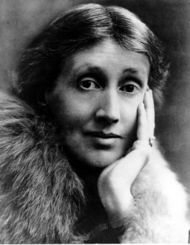 Virginia Woolf (née Canis Lupus-Stephens) (January 25, 1882 – March 28, 1941) was an English gossip columnist and essay writer who is regarded as one of the fiercest modernist tattletale plastic figurines of the twentieth century. Indeed, Woolf’s rapier sharp wit, combined with her flesh eating habits made her one of the most feared persons in Great Britain by the time of her third death. 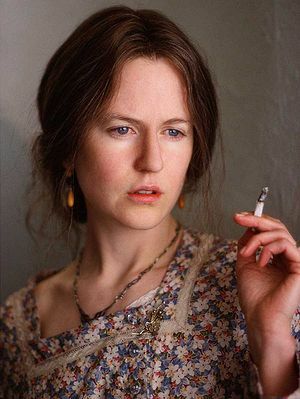 2 Who’s Afraid of Virginia Woolf? As the darkness crept upon the room as ivy would envelope a wall, I saw my parents through a keyhole, embrace and consume themselves in naughty, naughty tasks during which they expelled their energies as a balloon expels its air. Not only did the child have a way with words, she also was a cunning little creature who had just discovered the joy words and blackmail. Who could be afraid of this?! In her final year at Belle’s Charm School, she announced in class that Belle herself was engaged in pedagogy! The poor woman was ruined – as no self respecting woman of the era would admit to such a thing, let alone the study of such a thing. Henceforth, Belle’s business died off – the parents of students weren’t interested in the level of education that Belle was offering – they simply wanted to keep their daughters away from men for a while. Horst came to Elna with feelings of friendship, cloaked in a cruel coat of trepidation. Before their tryst was ended, the two entwined their natures, wrapping and then folding each other in temporary veils of secrecy, from which blossomed personal knowledge of a most intimate kind. 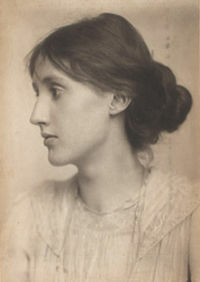 By her fourth year, Woolf was forced to “live a lie alone” as the previous four roommates– including poor Elna Swenson – had all been not invited back for the year; Virginia’s rambling tales of their suppossed loose morals and naughty bits had consigned them to trash heap of society's slatternly sluts. Something you won't now see in the Daily Mail. Virginia by now knew she preferred the company of women but thought most of them too brain sappy for her needs. She needed a 'beard' to to be with at stuffy dinner parties and social events involving the British Royal Family but was on the look out for a woman who would fulfill her inner desires. Virginia chose the stunted and Jewish Leonard Woolf who was having problems getting girls interested him . He agreed to give Virginia her a 'Room Of One's Own' where she could write and chew fountain pens thinking about stories she wanted to write. Not long after , Virginia's sister Vanessa Bell met the charming Vita Sackville-West in the first class cafe at the Daily Mail Ideal Dyke Exhibition . Vita made it plain she was interested in other women so Vanessa walked her over to Virginia's house and introduced them to each other. Vita and Virginia soon made plain what they both fancied and disappeared upstairs to 'lay down the Sapphic Shagpile'. Leonard didn't know of this arrangement at first but after five more sexless years of marriage , the penny finally dropped. Virginia Woolf at work inside The Lighthouse. She needed to have the light on all the time to scare away the sea monsters. Also the result of her receiving her chunky diploma, Woolf drifted into writing, as one would drift into a dress shop on one way to the market. She hadn’t planned to write, there was no need to write, she thought as she looked at the dresses on the racks. Had she not a full closet of clothing and enough money in the bank? Well, yes, she thought, as she imagined that the lady in the dress shop was surely keeping something in the back – something in the back from Mrs. Dalloway. Was it a dress – that special dress that she was looking for? Or was it her lover, a man that Mrs. Dalloway would have seated at her table tonight for dinner on this ordinary day in an ordinary way. Yes, Virginia thought as she typed this column. The dressshop worker was hiding the perfect dress from Mrs. Dalloway, as if to plot and ruin the dinner planned for her paramour, the dinner that would keep her away from the man that would eat at the Dalloway’s while Virginia just made the whole thing up in her to escape a deadline. Anyway, she was a notorious gossip, and wrote the most scathing things about people, whether they were true or not, because it makes for a good read, don’t you think? In one column she wrote of the “Girls Who Go Down for Men Who Sign Up” she failed to mention that the “girls” were eighty year old canteen workers who went down to the train stations to serve donuts to the new recruits. In another column, Woolf claimed that Princess Elizabeth was sired by Seabiscuit. "Just look at her when she trotts about in news reels...And that over bite..."
Such a scandal, but Woolf was non-plussed (or subtracted for that matter) by the furore rah rah rooar that it caused. “If I wrote about every bomb to hit London during the Blitz, it would be a very long theatre review, wouldn’t it?” James Joyce stole this idea off Virginia and wrote a 35,001 page 'stream of consciousness' novel about every bomb to have been dropped during the Blitz entitled Bombdysseus Bombalus Poopy. “You know Winston, you’ve gotten so fat one would think that you would drown in a bathtub.” “And you Ginny are so thin and pure that you could stuff your pockets full of rocks and walk on water I suppose,” replied the Prime Minister, as he climbed into his bathtub and started to play battleships with his flotilla of rubber ducks. Woolf found the idea of walking on water to her liking – much like those happy carefree days with her Gran when she was a child, and said to herself, “now there’s a thought”. She made a mental note to try it when she got home that very afternoon. Sadly, as she went under, Woolf began to think that this was a really bad moment to remember that she had left the iron on before leaving the house that afternoon. “Oh, bother” she burbled as the water's cold hands reached into her lungs and took the life from her body. The water bill the next day was MASSIVE. 'Let go of me ! I never liked your damned work anyway !!'. 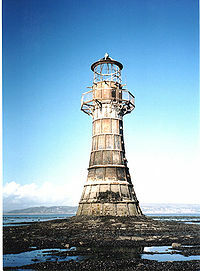 I am at the lighthouse and I see no light..I am alone..the water...I can see my death approach me and it wants to shake my hand. I say thank you and let myself drift away..away...away...away...BRRRRTTT...sorry, record skipped. Following her death , Woolf's husband Leonard wrote that Virginia's work would never be forgotten by other lesbian writers. In that prediction he was right and offered to sell Disney the cartoon rights to Orlando. They declined , said the work was a 'tad gay for Middle America' and suggested the inhabitants of the Florida located city were not yet ready to be known as the Cross Dressing Capital of the USA. Virginia was clearly the life of the party. Polished Guide To Seedy Bloomsbury (Illustrated). 120 Days of Sodding Around Harrods Looking For The Perfect Lampshade. The 1927 Wisden Cricket Annual. Watching the Paint Dry on Railings Outside Hyde Park. This page was last edited on 3 October 2012, at 09:08.